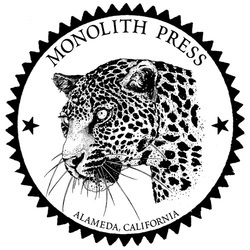 Below is a partial list of some of the outstanding talent here at Alameda Point Studios. Premier builder of wood-fired ovens, grills, and rotisseries for restaurants and homes for the last 25 years. 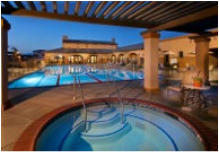 Clients include many of the Bay Area celebrity chefs and elite restaurants. Known most of all for his unique ability for solving design problems that have eluded others. Builder, Master craftsman in both wood and metal. Artist, Leonidas Kyriakopoulos - Leon Paulos, for the syllabically-challenged - has committed three decades to expanding his talents, extending his abilities, and pursuing his limitless curiosity to new masteries, each building on and enhancing the others. Born in Greece to a midwife and the village butcher, Kyriakopoulos grew up in Great Falls, Montana, where his family emigrated when he was three to escape their war-ravaged homeland. His BA in Applied Art from Montana State University led him to an early career in ceramics, at which he excelled, receiving numerous awards, including an assignment at Haystack and an NEA Fellowship to the Archie Bray Foundation. 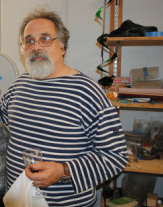 His pieces were featured in Ceramics Monthly, Crafts Horizons, and other national publications. Since then, his creative work has evolved in multiple directions: fine woodworking, metal fabrication, sculptural furnishings, fire appliances, custom design, and more. Shawn McLenon is an avid designer, artist and builder who is fueled by his passion to make works that are strong both structurally and aesthetically. His one of a kind pieces of art and everyday objects are built to be cherished items that can be used and appreciated for generations. McLenon’s personal body of work includes meticulously designed and finished custom beds, tables, cutting boards, picture frames and other functional household items. He has apprenticed with established artisans building fine furniture and high-end custom cabinetry and has worked with local gardeners to build quality planter boxes and trellises. Seth Janofsky is known for his fine marquetry work and detailed pieces. Seth studied photography at The Cooper Union in New York City. After a few years of photographing documents in the city's archives, he decided to study woodworking at the College of the Redwoods in California. 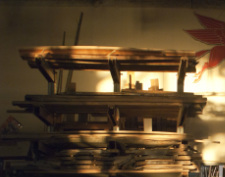 His shop on the old Alameda Naval Air Station, in a bunker-like room once used for testing aircraft engines, provides him with peace and quiet for crafting his exquisite marquetry work. The Last Inch specializes in high-end cabinetry, architectural details and furniture. Whether you are looking for that final piece to finish your project or you are embarking on the start of your home or commercial project, our design and build services are focused on every detail, down to The Last Inch. With over 35 years of experience designing and building fine furniture and cabinetry, Byron's expertise and abilities come together in originals built with exacting precision and un-paralleled attention to detail. Byron earned his B.S. 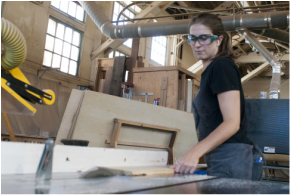 degree in Industrial Arts at the University of Northern Colorado and studied at the College of the Redwoods’ prestigious Fine Woodworking Program, under the mentoring of master furniture maker James Krenov. Byron has also worked for several high-end shops building, as a Project Manager, and developing production methods to increase efficiencies. It’s this unique combination of craft and business which allows the Last Inch to compete with the automated world of today. 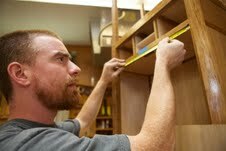 Our true niche is our flexibility and ability to use current technology, combined with a master cabinet maker's trained eye and hand, to broaden the creation process beyond the limitations of using just one technique or another. The Last Inch continues to expand and explore the range of materials used to create unique pieces, collaborating with experts in the use of new materials to achieve the highest level of workmanship. All this is done with an eye to the environment and an effort to use when possible, materials that are sustainably harvested. From re-using materials such as ebony keys salvaged during a restoration of a Steinway piano as stand-offs for custom steel pulls, to using old redwood planks from a dilapidated sixties hot-tub to make outdoor furniture and cabinet panel inserts, finding creative new uses for salvageable materials is just one of the ways The Last Inch supports sustainable practices. Florian Roeper runs an Alameda-based design studio in which he handcrafts small production lines of studio furniture. The mixing of wood and metal is characteristic of Roeper's body of work. Apart from his signature etchings onto metal, Roeper specializes in the use of unusual, native California hardwoods which he sources from local sawmills. This lumber comes from salvaged trees and the varieties are what Roeper likes to call "local exotics": Black Acacia, California Black Walnut and American Elm. At Studio Roeper, using and promoting eco-friendly materials and finishes are central to a sustainable practice. 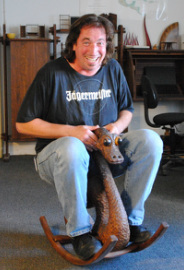 Roeper received his BFA in furniture design and sculpture at the California College of the Arts in 2003. In 2004 he apprenticed with Al Garvey, a master craftsman of the Bolinas Crafts Guild, with whom he built custom-made entry doors. Roeper has shown his work in boutique showrooms, the San Francisco Museum of Craft and Design, the International Contemporary Furniture Fair of New York as well as the prestigious Architectural Digest Home Design Show. I spent 17 years building high-rises in San Francisco during the week, and woodworking in my garage on my days off. 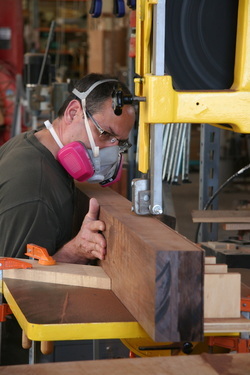 One day, after a heart-to-heart with a chunk of rosewood, I quit construction and embarked upon a lifelong dream. For the next two years I immersed myself in intensive study at the world-renowned fine woodworking school, College of the Redwoods (founded by master woodworker James Krenov). Today you can find me at my shop at 1800 Ferry Point on the old Naval base on Alameda Island. Whether you’re seeking a gorgeous serving tray, a finely joined keepsake box, coffee or dining room tables and benches that make a statement, or fine interior trim and design, I’ll work with you to create a piece or living space that you’ll truly treasure. Doug Thielscher is a self-taught sculptor who, after working in commercial real estate development for 25 years, happily stumbled into the world of making art. In 2002, serendipity delivered him to Pietrasanta, Italy where he learned the traditional craft of stone carving by working among the artigiani there. Since then he has maintained studios in the Bay Area and Italy, traveling between the two. In 2012 Doug was nominated for SF MOMA’s prestigious SECA Award. 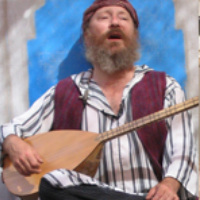 He has received numerous other awards for his work, including from the California State Fair. Doug’s sculpture has been chosen by established artists and curators to participate in exhibitions throughout the country. These include Charles Arnoldi for the San Luis Obispo Museum of Art and René de Guzman, Senior Curator at the Oakland Museum of California. Chris is an East Bay native who has explored a variety of fields before landing at the Naval Air Station. He studied fine art from an early age, was a dedicated athlete in training for the Olympics, did stints as race car mechanic, test driver, and motorcycle road racer, and wore many hats in motion picture production as an aspiring filmmaker. He spent many more years acquiring skills as a carpenter and craftsman, which led to forays into architecture, industrial design, and mechanical engineering. In 2008 Chris moved his small furniture studio from Berkeley to his shop at Alameda Point as he expanded into metal fabrication, prototyping and mechanical design. 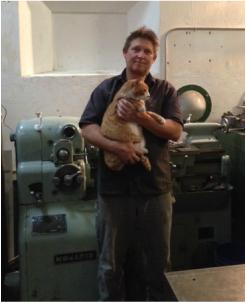 When he is not welding architectural fixtures or machining sailboat parts or drawing CAD models, he puts in the hours with his two favorite hobbies; building streamlined human-powered vehicles and looking after Lucky the shop cat. 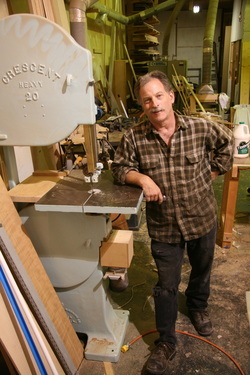 Mike Bryant is designing and building hand crafted furniture and cabinetry in the Bay Area. Having worked in woodshops throughout the northeast and much of California, Mike has been influenced by many great craftsmen. Originally from New York, he is living in Oakland, California and has set up shop in Alameda, California on a decommissioned naval base, now known as Alameda Point. For over 40 years, Designer/Craftsman Dean Santner, has been recognized for his original work in the fields of component furniture design, erognomic desk environments, decorative wood accessories, art furniture, and high quality craft production. During his career he has been the recipient of various awards. These include; the Outstanding American craftsman Award; Alameda, California Manufacturerof the Year; the Mead Presentation Award; numerous “Best of Show” awards; and has had a wide selection of his work featured in galleries and juried art/craft exhibitions around the world. His work is represented in the Historical Collection of the Oakland Museum of California, the San Franciscos Collection, and the Ranch Collection of the President and Mrs. Ronald Reagan, (“Pretty embarrassing, but I mistakenly thought it was a practical joke when the President called to thank me”, says Dean “The President was very gracious, and just laughed at my predicament”.) To his utter astonishment, some of Dean’s early work is being sold at art/craft auctions for almost 100 times their original price. Since 1957, Callahan Piano, a family owned and operated business in Alameda, Ca., has been providing the finest quality piano tuning, repairs and rebuilding of Steinway Grands to the San Francisco Bay Area and beyond. John Callahan, the owner/ operator of Callahan Piano Service since 1975, is a member of the Piano Technicians Guild and received the highest classification of Registered Piano Technician in 1978. Under his guidance, Callahan Piano Service has grown to be the largest piano service organization in the San Francisco Bay Area with over 8,000 customers including numerous churches, recording studios, recital halls, and musicians. "People know that we provide the absolute best restoration service and that we are committed to making each instrument perform to its highest ability", John Callahan told Alameda Patch in an interview. After years of building furniture for friends and business associates, more than a decade ago I stepped away from my job as a media executive to follow my passion and have not looked back. Design influences for me include Japanese, Danish and Arts and Crafts. Working in the Bay Area with its large inventory of craftsman homes has meant lots of furniture to fit that design ethic. Working as I do at Alameda Point Studios also means a synergy of ideas and talent that has helped me grow as a craftsman. For me, building fine furniture and cabinetry helps carry on a legacy of craftsmanship that helps dispel the notion that the only furniture available is cheap, imported junk. My philosophy of strong customer service and satisfaction comes from building furniture that, as I tell my clients, your grandchildren will fight over when you’re gone. Alex, a self defined starving artist, struggles each month to pay his bills on time but takes great pleasure in the fact that he does not whore himself out to the man in exchange for financial security. Alex’s artistic career began with ceramics at the high school level where he was able to put together a portfolio good enough to earn him admission into the Rhode Island School of Design. Four years and a BFA in Sculpture later, Alex found himself disenchanted with the popular New York art scene and moved to the deserts of Mexico where he took up an apprenticeship creating silver jewelry, drinking large quantities of tequila and ingesting psychotropic cacti for several long and arduous months. After several years of aimless wanderings from Mexico to the eastern US working odd jobs and sleeping with strange women, Alex returned to his boyhood home to take up the reins of the family farm. 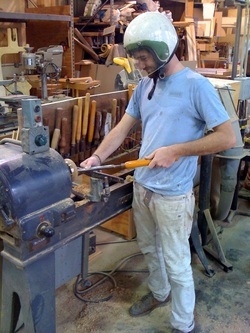 Following financial catastrophe that resulted in eviction from his family home, Alex again turned his back to the lures of capitalistic machine and sought refuge in the costal redwoods where he enrolled in the nine-month fine woodworking program at college of the redwoods in Fort Bragg, CA. Alex currently resides in Oakland, CA, working a day job as an Arborist in SF and designing and building high quality handcrafted furniture out of his rented space with the kind folks at 1800 ferry point in Alameda, California. Adrien Segal attended California College of the Arts in San Francisco, CA, receiving a BFA in Furniture Design and Woodworking in 2007. She has exhibited work at the Richmond Art Center, the Center for Art in Wood in Philadelphia, PA and Ballroom Marfa, in Texas and has work published in an academic journal and several books. Adrien recently finished a year long residency at Alameda Point Studios, and continues designing and making data sculpture as well as functional furniture out of her shop in Alameda. 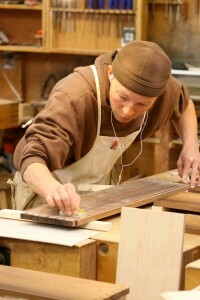 She also teaches woodworking classes at the Crucible and will be an Artist in Residence at the Oregon College of Arts and Crafts in the Spring of 2013. Adrien was born in Santa Clara, California in 1985. 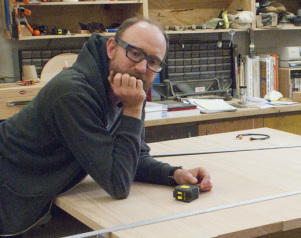 Kevin Clarke is an artist, curator, gallery owner and furniture maker who lives in Oakland California. He is the founder of the Million Fishes Art Collective in San Francisco, a community arts gallery and live-in residency program. Kevin is also the owner and curator of The Small Gallery, a mobile venue for visual art. In addition he is the Founder and director of the MacArthur B Arthur, a gallery in Oakland and the founder and director of The First Friday Concert Series, an on-going performance night for local musicians which is held in a 450 seat gothic church in Oakland California. 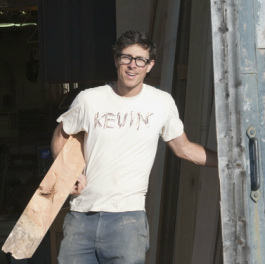 Kevin graduated from the California College of Arts in 2005, with a BFA in painting and drawing, with a focus on Wood/Furniture. 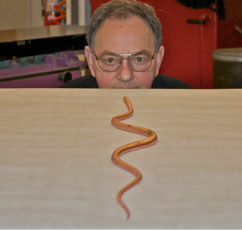 His most recent solo show of wooden sculptures was at Ampersand International Arts, in San Francisco in January of 2011. In 2011 he received The SOEX Alternative Exposure grant from The Andy Warhol Foundation via Southern Exposure. You can find him building furniture or making sculptures at APS in Alameda California most days of the week. Consultants in Engineering Acoustics (CIEA) provides professional engineering and inventive services in the specialties of noise, vibration, and flow. CIEA was founded in 1976 by Thomas R. Norris, a registered professional Mechanical Engineer. Staff consists of Kier DeAnda, who manages model and instrumentation work, and his wife, Karen, who handles the firm’s many administrative challenges. The firm’s specialties are technical and financial aspects of industrial noise analysis and strategies, and developing new technologies for reducing noise of fluid flow and turbulence. Most of this work involves improving efficiency of the process, and is thus a “green” endeavor. Mr. Norris has about 15 patents, both US and foreign. 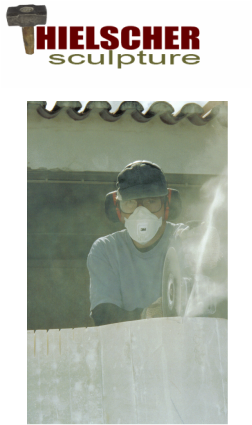 Mr. Norris has authored or co-authored 20 technical papers in noise control technology, with emphasis on specialty silencers with low energy losses CIEA maintains a noise, flow, and vibration laboratory in Alameda, CA. The facility is capable of “cold flow” testing scale models of the largest turbines, and full size models of turbines up to about 20 MW. Clients include industry, other consulting firms, and government. In the “green” power industry, current clients are Lake County Special Districts, Calpine, Ormat, and Turbine Air Systems. In fossil power, we are assisting in permitting issues and noise technology for GWF Power systems, of Pittsburg, CA. Products include industrial silencers and special exhaust vane systems that incrementally increase the efficiency of power plants. This reduces greenhouse gas emission. These vane systems are now found in nearly 100 power plants and most gas turbine powered large cruise ships. An example is RMS Queen Mary 2, where our technology helps power this largest-ever ocean liner at over 30 knots. Most of Royal Caribbean’s gas turbine fleet also use this technology. On the military side, our work on the M1 Abrams tank eliminated the squeaky sound that nearly all US tanks have had, and is in the sound tracks of so many war films. With modern information technology, the traditional squeak sound had become a liability. This work, done with an Army lab, received a “best technical paper of the year” award for military ground vehicle advances. Current lab development projects are a silencer for an overseas power plant, and an exhaust system design that will reduce greenhouse gas emissions of a class of mid-sized electric power plants. Model parts are mostly built in Alameda, using in house staff and outside shops. INDEKSOLAR POOL HEATING SYSTEMS sells solar pool heating kits. We have recently received funding to expand sales to the global marketplace. Giovanni Hurt has been in the solar industry since 1977. He is an expert in this field and developed this solar pool heating product. Giovanni chose this location due to its close proximity to the Oakland shipping port to support their needs for global shipping of their product, as well as its central location in the San Francisco Bay area. Additionally, Giovanni is an inventor and is in the process of patenting a new invention related to cooling mist systems. The Ferry Point Building provides a creative and supportive atmosphere, which is desired by inventors and artisans. The artisans in Alameda Point Studios have assisted Giovanni with certain elements related to the design of his products and inventions that would not normally be at his immediate disposal. This artisan-influenced, loft-type environment is conducive to the creation and invention of products. Alameda Point Studios not only provides a business address and location, but also meets the specific needs for space in completing orders for Indeksolar Pool Heating kits. Jeffrey St. Pierre is a film maker, audio engineer, and musician. I started my career shooting music videos for record labels which aired these videos on a new cable channel called MTV some 30 years ago. After creating videos for such artists as Steve Miller, George Clinton, Tom Waits, and many others, I decided to move from Hollywood, back up to San Francisco, to concentrate my career efforts on music creation. I toured, and recorded for 15 years playing drums with various bands based out of the SF Bay Area. During that time I also worked as a second engineer at the famous Plant Recording Studios in Sausalito Ca. Later, I decided to get married, and raise our daughter, so I hung up the drum sticks for the last 18 years, worked various jobs, plus freelanced as a video producer, and audio engineer. Now that my daughter is about to leave the nest, and go on to college, I have decided to launch a new production company called Digital Mobile Design. I am currently converting a retired city transit bus into a mobile film, video, and audio production studio. This bus will consist of a high definition video editing suite, and 48 channel digital audio recording studio. The bus will enable on location production, and editing for film, and video, plus on location audio recording for film, video, and live music concerts. If all stays on schedule, I project the bus will be completed, and online by the beginning of 2013. Joel Solomonson's Minnesota upbringing initially kept him close to home, graduating from the University of South Dakota where he earned his Bachelor of Fine Arts. His creative vision was enough to gain acceptance to Cranbrook Acadeny of Art in Detroit, MI. Joel pursued his own version of photography where he made his photographic paper by hand and constructed his own cameras. His interest in camera construction evolved into a broader interest in furniture construction and craftsmanship. Manifest destiny shown its golden westward rays and after receiving his Master of Fine Arts degree he packed up and moved west and on a whim he landed in the Bay Area. He promptly got a job in cabinet shop and started honing his craft. A rapid development lead him to strike out on his own and he found an exciting new place to open up shop at Alameda Point Studios. That was over 4 years ago. 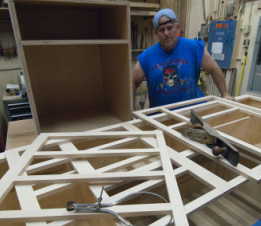 Joel has found success as a custom furniture designer and fabricator as he applies his skills and creative vision to a long list of commercial and residential clients. 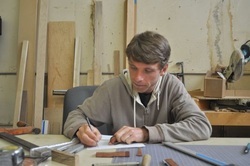 Christopher Loomis is a furniture maker and artist located at Alameda Point Studios. His studio specializes in heirloom quality furniture, sculpture and home accessories that blur the line between art, craft, function and form. His work has been exhibited widely in such venues as the San Francisco Museum of Modern Art, Yerba Buena center for the Arts and the Museum of Craft and Design. Christopher also holds a faculty position in the Furniture Department at the California College of the Arts in San Francisco California. 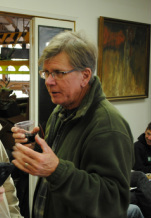 Christopher has been a tenant and strategic partner at Alameda Point Studios since 2001. Christopher has worked closely with the woodworking community at large as well as local colleges to provide low cost workspace for both new and established craft-based businesses. short-run record covers with waterbased inks and recycled paper.